Valentine’s Day is almost here! I wanted to make a Valentine that would be perfect for any age group. You know how much we love Free Printables around here and I hope you like these ones as much as we do! 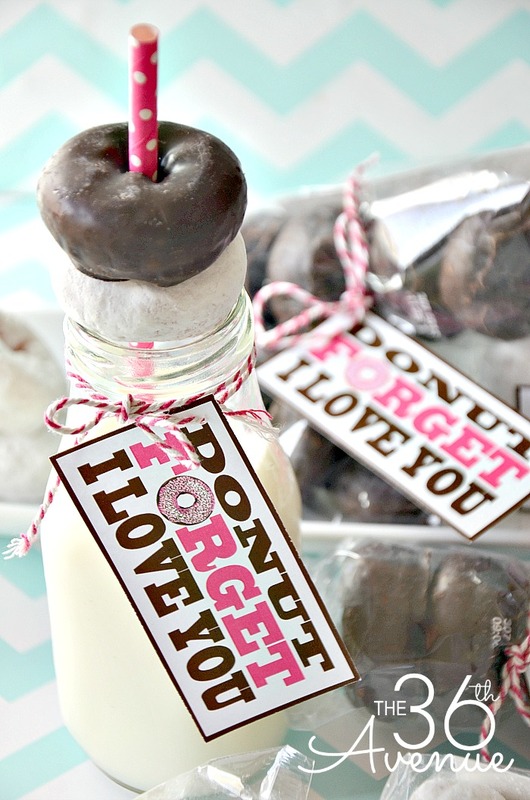 This sweet idea is perfect for classmates, co-workers and even for Valentine’s Day Breakfast. Ready to see them? 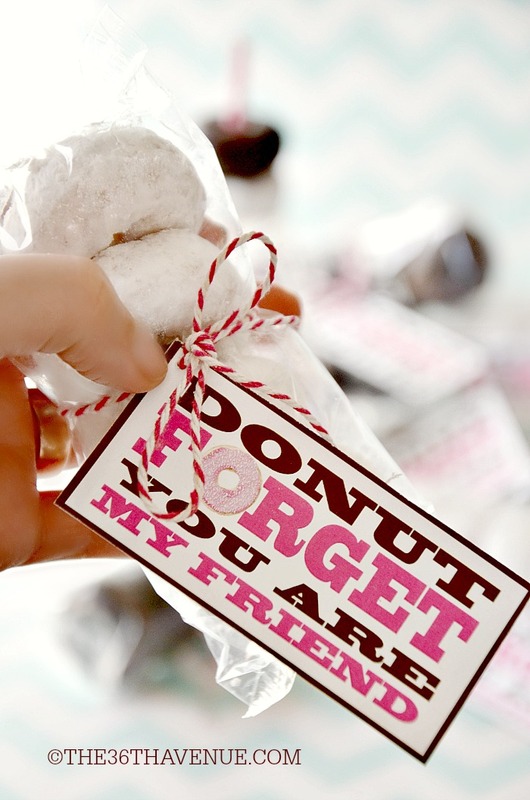 One of my girls is giving these adorable mini donuts to her classmates this year. I found them at WalMart. 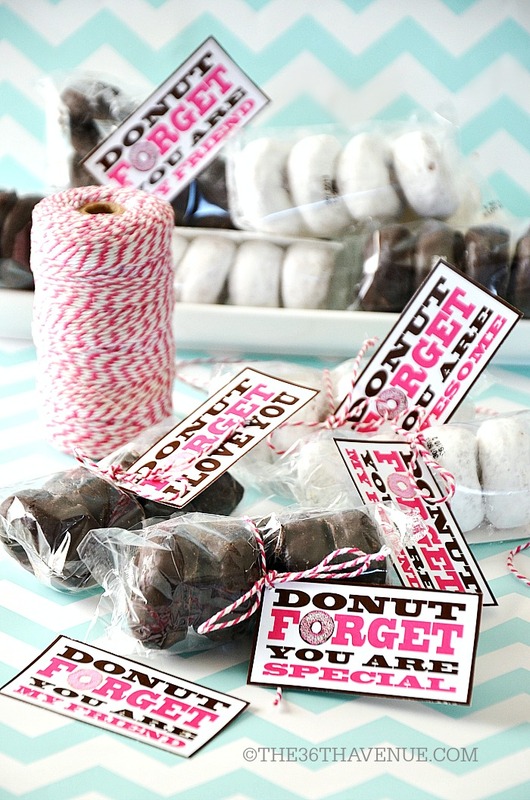 Each box has 12 individually wrapped mini donut bags for under $4. They are cute, yummy, and sweet! All you need to do is print the free tags, cut them, and use bakers twine or yarn to tie the tags around each bag. 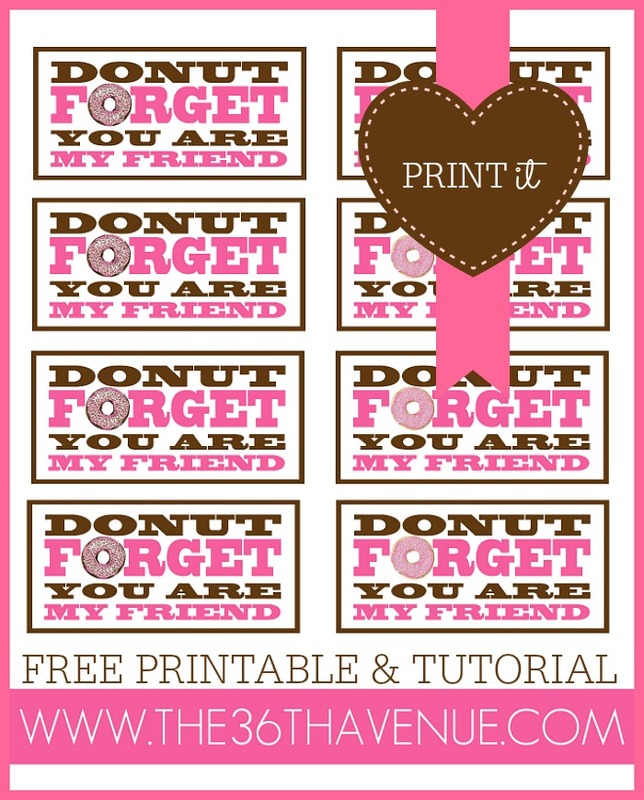 You can also print the tags and surprise your family with a lovely Valentine’s Day breakfast! ©the36thavenue.com THESE PRINTABLES ARE FOR PERSONAL USE ONLY. DO NOT USE FOR SALE. Touch the ARROW below to download.©the36thavenue.com THESE PRINTABLES ARE FOR PERSONAL USE ONLY. DO NOT USE FOR SALE. Here are some other Valentine Printables that I love! 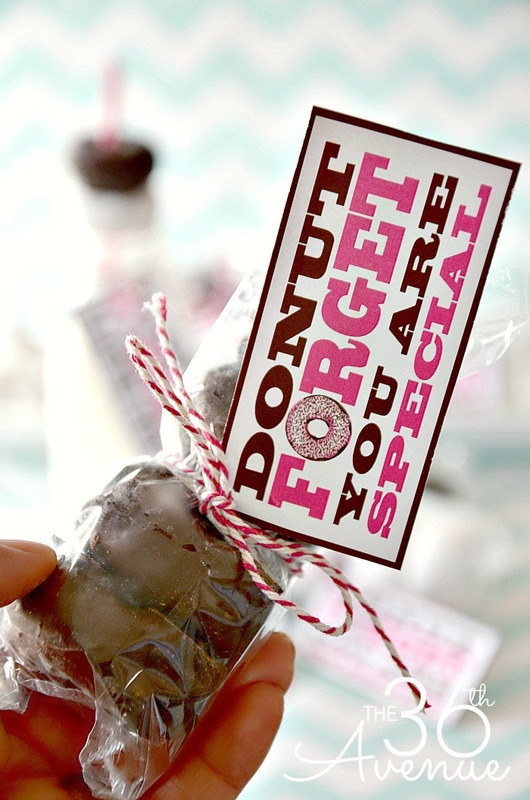 These are adorable and were perfect for my 2nd & 3rd grader’s Valentine class treats! Thanks so much!! The links are under where it says “Ready to print?” on the post. 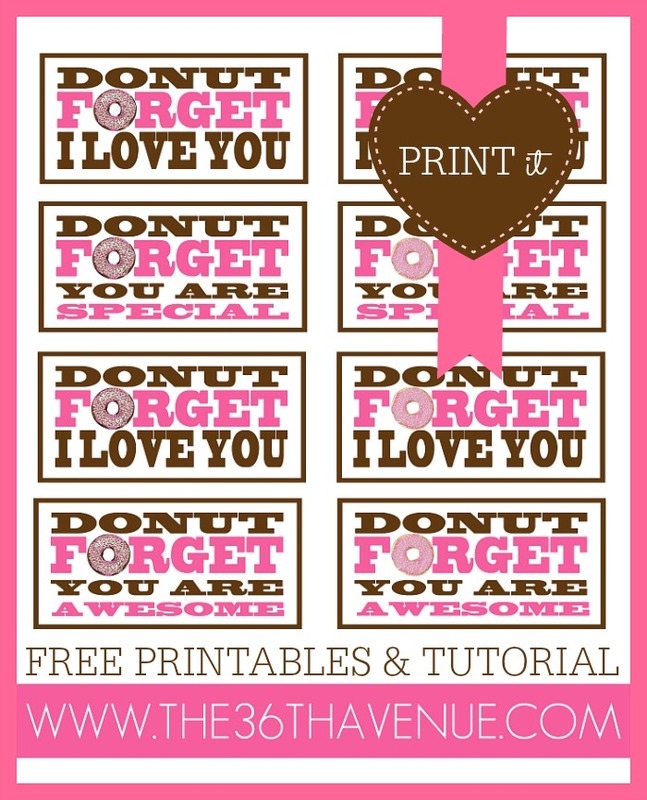 I cannot find the arrow to print the donut labels. Love them and want to use, but where is arrow? The links are under where it says “Ready to print?” on the post. Click where it says click HERE. 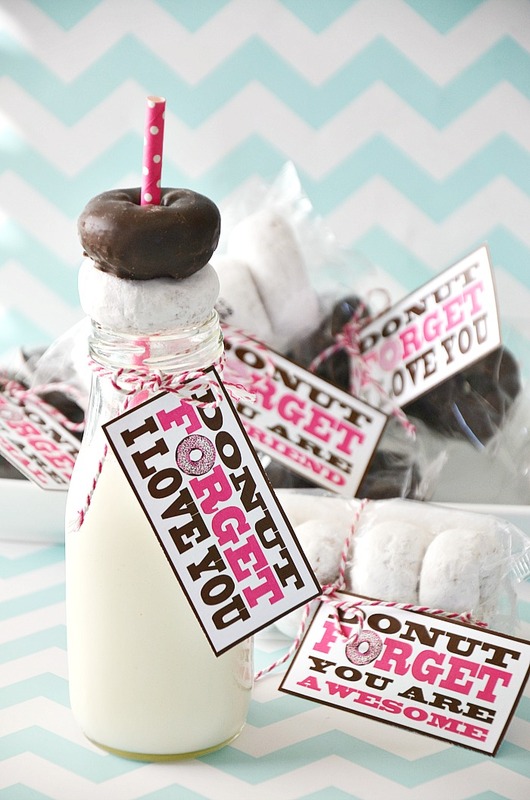 My son loves the donut Valentine gift idea. I am unable to download the printable! I was not able to find the “arrow” referenced in the text to start the download. Help! I just fixed it… Thank you for letting me know! Love the printables. They made it so easy for me to make a quick Valentine treat for folks at my office! Thank you!! THANK YOU for continually sharing your gifts & talents! All that you share blesses countless lives for the better and that is such a gift. 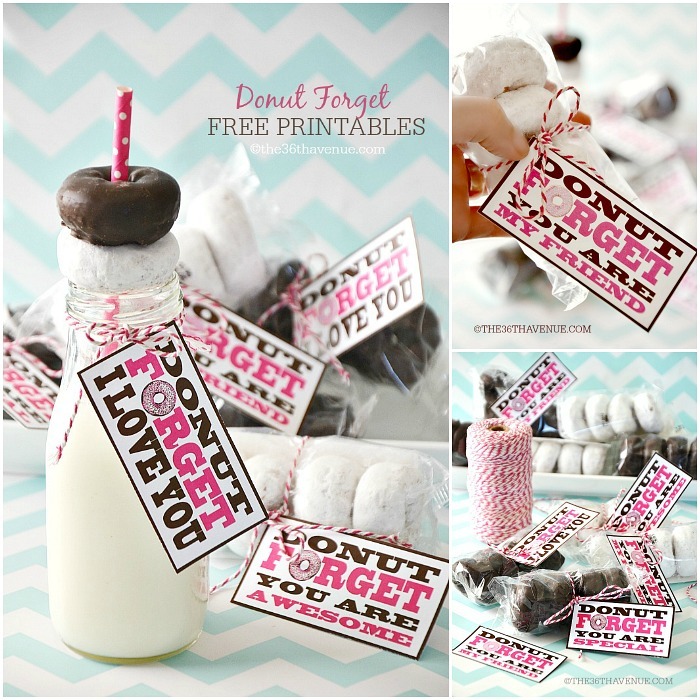 Your free printables, design ideas, etc,. have helped me to show love in many fun and beautiful ways to my precious family and dear friends. Your posts inspire my desire to create beauty in my own home and to infuse a little more joy life’s journey! You are wonderful!! Jani, it is wonderful people like you that inspire me to create and share what I do. Thank you so much for making my day and for taking the time to leave me such a sweet comment.